For tightening fine screws (M1-M2). For watches, precision electronic equipment, computer, etc. 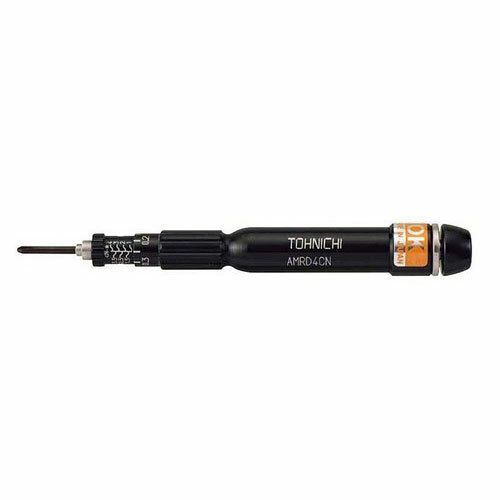 A feature toggle type torque detection mechanism ensures accuracy and long durability. Preventing over-torque by "slipping" when more force is applied beyond set torque. Used for steady precision operations with finger touch structure. American models are available upon request. Bits for AMRD are supplied from only Tohnichi. Standard bit, 6.35 HEX is available for BMRD.